Black Water Rafting is the most fun you can have in the dark! We’ve been sharing thrills and excitement for over 3 decades and have experienced guides who’ll take you safely through the stunning underworld of Ruakuri Cave. We will take you deep underground on the most unreal subterranean journey that’ll have you begging for more! Are you ready to become part of the legend? With the exhilarating Black Abyss and Black Labyrinth tours to choose from, there is something to suit all adventurous spirits. The Legendary Black Water Rafting Co. is New Zealand's original black water rafting adventure operator. And it's also the only tour that takes you through the incomparable Ruakuri Cave. 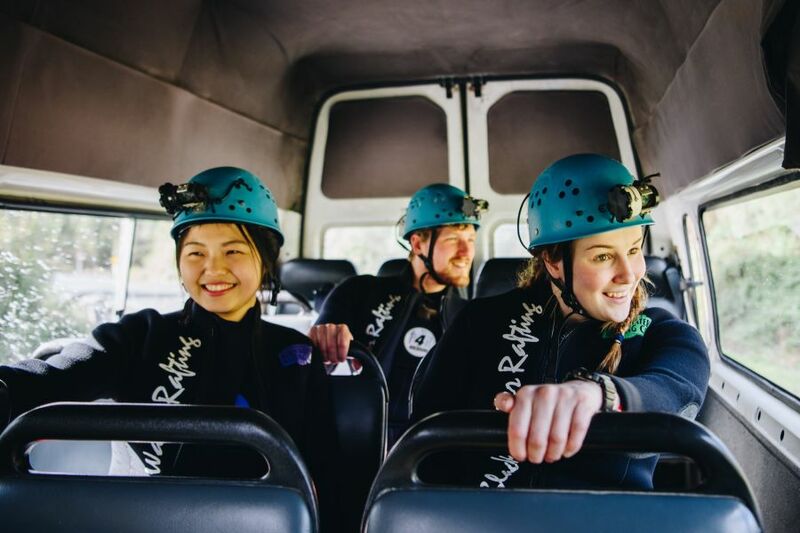 Each Waitomo Caves Black Water Rafting expedition includes around 6-12 people guided by experts who will support and encourage you through the whole breath-taking tour. As the first Black Water Rafting operator in the country, we take our responsibilities very seriously. Our team have worked closely with national organisations, other operators and accreditation bodies to create safety guidelines for the industry. The Legendary Black Water Rafting Co. is audited to the New Zealand Adventure Activity Safety Regulations.